S trim, PURE WHITE exterior and TITAN BLACK CLOTH interior. Smart Device Integration, Bluetooth, Aluminum Wheels, DRIVER ASSISTANCE PACKAGE, Turbo Charged Engine, iPod/MP3 Input, Back-Up Camera. AND MORE!KEY FEATURES INCLUDEBack-Up Camera, Turbocharged, iPod/MP3 Input, Bluetooth, Smart Device Integration MP3 Player, Keyless Entry, Steering Wheel Controls, Child Safety Locks, Electronic Stability Control.OPTION PACKAGESDRIVER ASSISTANCE PACKAGE Blind Spot Monitor w/Rear Traffic Alert, Heated Side Mirrors, Forward Collision Warning, Autonomous Emergency Braking (AEB) and pedestrian monitoring. Volkswagen S with PURE WHITE exterior and TITAN BLACK CLOTH interior features a 4 Cylinder Engine with 147 HP at 5000 RPM*.EXPERTS ARE SAYINGThe Jetta feels quick around town thanks to the solid torque output from the turbocharged engine. It also handles curves well, staying controlled and stable. -Edmunds.com. Great Gas Mileage: 40 MPG Hwy.MORE ABOUT USWe've been honored with several customer service awards, including a Volkswagen Generation Best Dealer award. We offer autos made with the power of German engineering. Volkswagen has thought about every detail of every car, every step of the way.Horsepower calculations based on trim engine configuration. Fuel economy calculations based on original manufacturer data for trim engine configuration. Please confirm the accuracy of the included equipment by calling us prior to purchase. Smart Device Integration, Bluetooth, DRIVER ASSISTANCE PACKAGE, Alloy Wheels, Turbo Charged, iPod/MP3 Input, Back-Up Camera. PLATINUM GRAY METALLIC exterior and TITAN BLACK CLOTH interior, S trim. AND MORE!KEY FEATURES INCLUDEBack-Up Camera, Turbocharged, iPod/MP3 Input, Bluetooth, Smart Device Integration. MP3 Player, Keyless Entry, Steering Wheel Controls, Child Safety Locks, Electronic Stability Control.OPTION PACKAGESDRIVER ASSISTANCE PACKAGE Blind Spot Monitor w/Rear Traffic Alert, Heated Side Mirrors, Forward Collision Warning, Autonomous Emergency Braking (AEB) and pedestrian monitoring. Volkswagen S with PLATINUM GRAY METALLIC exterior and TITAN BLACK CLOTH interior features a 4 Cylinder Engine with 147 HP at 5000 RPM*.VEHICLE REVIEWSGreat Gas Mileage: 40 MPG Hwy.WHY BUY FROM USWe've been honored with several customer service awards, including a Volkswagen Generation Best Dealer award. We offer autos made with the power of German engineering. Volkswagen has thought about every detail of every car, every step of the way.Horsepower calculations based on trim engine configuration. Fuel economy calculations based on original manufacturer data for trim engine configuration. Please confirm the accuracy of the included equipment by calling us prior to purchase. Smart Device Integration, Bluetooth, DRIVER ASSISTANCE PACKAGE, Aluminum Wheels, Turbo Charged Engine, iPod/MP3 Input, Back-Up Camera. S trim, PLATINUM GRAY METALLIC exterior and TITAN BLACK CLOTH interior. CLICK ME!KEY FEATURES INCLUDEBack-Up Camera, Turbocharged, iPod/MP3 Input, Bluetooth, Smart Device Integration MP3 Player, Keyless Entry, Steering Wheel Controls, Child Safety Locks, Electronic Stability Control.OPTION PACKAGESDRIVER ASSISTANCE PACKAGE Blind Spot Monitor w/Rear Traffic Alert, Heated Side Mirrors, Forward Collision Warning, Autonomous Emergency Braking (AEB) and pedestrian monitoring. Volkswagen S with PLATINUM GRAY METALLIC exterior and TITAN BLACK CLOTH interior features a 4 Cylinder Engine with 147 HP at 5000 RPM*.EXPERTS ARE SAYINGGreat Gas Mileage: 40 MPG Hwy.BUY FROM AN AWARD WINNING DEALERWe've been honored with several customer service awards, including a Volkswagen Generation Best Dealer award. We offer autos made with the power of German engineering. Volkswagen has thought about every detail of every car, every step of the way.Horsepower calculations based on trim engine configuration. Fuel economy calculations based on original manufacturer data for trim engine configuration. Please confirm the accuracy of the included equipment by calling us prior to purchase. Sunroof, Heated Seats, Smart Device Integration, Cross-Traffic Alert, Blind Spot Monitor, Alloy Wheels, Turbo, FRAMELESS AUTO-DIMMING REARVIEW MIRRO... Dual Zone A/C. SE trim, TORNADO RED exterior and BLACK LEATHERETTE interior. READ MORE!KEY FEATURES INCLUDEHeated Driver Seat, Back-Up Camera, Turbocharged, iPod/MP3 Input, Bluetooth, Dual Zone A/C, Smart Device Integration, Cross-Traffic Alert, Blind Spot Monitor, Heated Seats MP3 Player, Sunroof, Keyless Entry, Steering Wheel Controls, Child Safety Locks.OPTION PACKAGESCOLD WEATHER PACKAGE Heated Rear Outboard Seating Positions, Remote Engine Start w/Remote Key Fob, Heated Front Washer Nozzles, Lower Windshield Heated Wiper Area, Heated Steering Wheel, Washer Fluid Level Indicator, FRAMELESS AUTO-DIMMING REARVIEW MIRROR electronic compass and HomeLink garage door opener. Volkswagen SE with TORNADO RED exterior and BLACK LEATHERETTE interior features a 4 Cylinder Engine with 147 HP at 5000 RPM*.EXPERTS RAVEGreat Gas Mileage: 40 MPG Hwy.VISIT US TODAYWe've been honored with several customer service awards, including a Volkswagen Generation Best Dealer award. We offer autos made with the power of German engineering. Volkswagen has thought about every detail of every car, every step of the way.Horsepower calculations based on trim engine configuration. Fuel economy calculations based on original manufacturer data for trim engine configuration. Please confirm the accuracy of the included equipment by calling us prior to purchase. Moonroof, Heated Seats, Cross-Traffic Alert, Brake Actuated Limited Slip Differential, Blind Spot Monitor, Smart Device Integration, Turbo Charged Engine. PURE WHITE exterior and BLACK/GRAY LEATHERETTE interior, R-Line trim. CLICK NOW!KEY FEATURES INCLUDEHeated Driver Seat, Back-Up Camera, Turbocharged, iPod/MP3 Input, Bluetooth, Keyless Start, Dual Zone A/C, Smart Device Integration, Cross-Traffic Alert, Brake Actuated Limited Slip Differential, Blind Spot Monitor, Heated Seats MP3 Player, Sunroof, Keyless Entry, Steering Wheel Controls, Child Safety Locks.OPTION PACKAGESVW CARE Volkswagen prepaid scheduled maintenance contract w/10,000-mile and 20,000-mile servicing for cars. Volkswagen R-Line with PURE WHITE exterior and BLACK/GRAY LEATHERETTE interior features a 4 Cylinder Engine with 147 HP at 5000 RPM*.VEHICLE REVIEWSGreat Gas Mileage: 40 MPG Hwy.WHO WE AREWe've been honored with several customer service awards, including a Volkswagen Generation Best Dealer award. We offer autos made with the power of German engineering. Volkswagen has thought about every detail of every car, every step of the way.Horsepower calculations based on trim engine configuration. Fuel economy calculations based on original manufacturer data for trim engine configuration. Please confirm the accuracy of the included equipment by calling us prior to purchase. Sunroof, Heated Seats, Keyless Start, Dual Zone A/C, Onboard Communications System, Turbo, Alloy Wheels, ROADSIDE ASSISTANCE KIT, Back-Up Camera, Satellite Radio. PURE WHITE exterior and DARK BEIGE LEATHERETTE interior, SEL trim. AND MORE!KEY FEATURES INCLUDEHeated Driver Seat, Back-Up Camera, Turbocharged, Premium Sound System, Satellite Radio, iPod/MP3 Input, Onboard Communications System, Keyless Start, Dual Zone A/C, Heated Seats. MP3 Player, Sunroof, Keyless Entry, Steering Wheel Controls, Child Safety Locks.OPTION PACKAGESROADSIDE ASSISTANCE KIT booster cables, warning triangle, work gloves, LED flashlight, PVC tape, multi-tool, blanket, poncho, whistle, cable ties and bandages. Volkswagen SEL with PURE WHITE exterior and DARK BEIGE LEATHERETTE interior features a 4 Cylinder Engine with 147 HP at 5000 RPM*.VEHICLE REVIEWSGreat Gas Mileage: 40 MPG Hwy.VISIT US TODAYWe've been honored with several customer service awards, including a Volkswagen Generation Best Dealer award. We offer autos made with the power of German engineering. Volkswagen has thought about every detail of every car, every step of the way.Horsepower calculations based on trim engine configuration. Fuel economy calculations based on original manufacturer data for trim engine configuration. Please confirm the accuracy of the included equipment by calling us prior to purchase. Moonroof, Heated Seats, Keyless Start, Dual Zone A/C, Onboard Communications System, Turbo Charged Engine, Aluminum Wheels, ROADSIDE ASSISTANCE KIT. SEL trim, PURE WHITE exterior and DARK BEIGE LEATHERETTE interior. SEE MORE!KEY FEATURES INCLUDEHeated Driver Seat, Back-Up Camera, Turbocharged, Premium Sound System, Satellite Radio, iPod/MP3 Input, Onboard Communications System, Keyless Start, Dual Zone A/C, Heated Seats MP3 Player, Sunroof, Keyless Entry, Steering Wheel Controls, Child Safety Locks.OPTION PACKAGESROADSIDE ASSISTANCE KIT booster cables, warning triangle, work gloves, LED flashlight, PVC tape, multi-tool, blanket, poncho, whistle, cable ties and bandages. Volkswagen SEL with PURE WHITE exterior and DARK BEIGE LEATHERETTE interior features a 4 Cylinder Engine with 147 HP at 5000 RPM*.EXPERTS CONCLUDEGreat Gas Mileage: 40 MPG Hwy.OUR OFFERINGSWe've been honored with several customer service awards, including a Volkswagen Generation Best Dealer award. We offer autos made with the power of German engineering. Volkswagen has thought about every detail of every car, every step of the way.Horsepower calculations based on trim engine configuration. Fuel economy calculations based on original manufacturer data for trim engine configuration. Please confirm the accuracy of the included equipment by calling us prior to purchase. Heated Seats, Sunroof, Keyless Start, Dual Zone A/C, Onboard Communications System, Turbo, Alloy Wheels, VW CARE, Back-Up Camera, Satellite Radio. SEL trim, DEEP BLACK PEARL EFFECT exterior and DARK BEIGE LEATHERETTE interior. SEE MORE!KEY FEATURES INCLUDEHeated Driver Seat, Back-Up Camera, Turbocharged, Premium Sound System, Satellite Radio, iPod/MP3 Input, Onboard Communications System, Keyless Start, Dual Zone A/C, Heated Seats. MP3 Player, Sunroof, Keyless Entry, Steering Wheel Controls, Child Safety Locks.OPTION PACKAGESVW CARE Volkswagen prepaid scheduled maintenance w/10,000-mile and 20,000-mile servicing for cars. Volkswagen SEL with DEEP BLACK PEARL EFFECT exterior and DARK BEIGE LEATHERETTE interior features a 4 Cylinder Engine with 147 HP at 5000 RPM*.EXPERTS ARE SAYINGGreat Gas Mileage: 40 MPG Hwy.OUR OFFERINGSWe've been honored with several customer service awards, including a Volkswagen Generation Best Dealer award. We offer autos made with the power of German engineering. Volkswagen has thought about every detail of every car, every step of the way.Horsepower calculations based on trim engine configuration. Fuel economy calculations based on original manufacturer data for trim engine configuration. Please confirm the accuracy of the included equipment by calling us prior to purchase. Nav System, Heated/Cooled Leather Seats, Moonroof, iPod/MP3 Input, Turbo Charged Engine, VW CARE, Aluminum Wheels, Satellite Radio, Back-Up Camera. DEEP BLACK PEARL EFFECT exterior and BLACK LEATHER interior, SEL Premium trim. CLICK NOW!KEY FEATURES INCLUDELeather Seats, Navigation, Heated Driver Seat, Cooled Driver Seat, Back-Up Camera, Turbocharged, Premium Sound System, Satellite Radio, iPod/MP3 Input, Onboard Communications System, Keyless Start, Dual Zone A/C, Smart Device Integration, Cross-Traffic Alert, Blind Spot Monitor. MP3 Player, Sunroof, Keyless Entry, Child Safety Locks, Steering Wheel Controls.OPTION PACKAGESVW CARE Volkswagen prepaid scheduled maintenance contract w/10,000-mile and 20,000-mile servicing for cars. Volkswagen SEL Premium with DEEP BLACK PEARL EFFECT exterior and BLACK LEATHER interior features a 4 Cylinder Engine with 147 HP at 5000 RPM*.EXPERTS RAVEGreat Gas Mileage: 40 MPG Hwy.VISIT US TODAYWe've been honored with several customer service awards, including a Volkswagen Generation Best Dealer award. We offer autos made with the power of German engineering. Volkswagen has thought about every detail of every car, every step of the way.Horsepower calculations based on trim engine configuration. Fuel economy calculations based on original manufacturer data for trim engine configuration. Please confirm the accuracy of the included equipment by calling us prior to purchase. *Mileage shown for each vehicle is an EPA estimate. *Valid on in-stock units only. With approved credit through VCI. See dealer for details. We appreciate your interest in our inventory, and apologize we do not have model details displaying on the website at this time. Please fill the form out below and our team will quickly respond, or, please call us at (402) 983-9801 for more information. 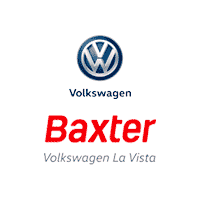 Baxter Volkswagen La Vista	41.1882859, -96.1087885.